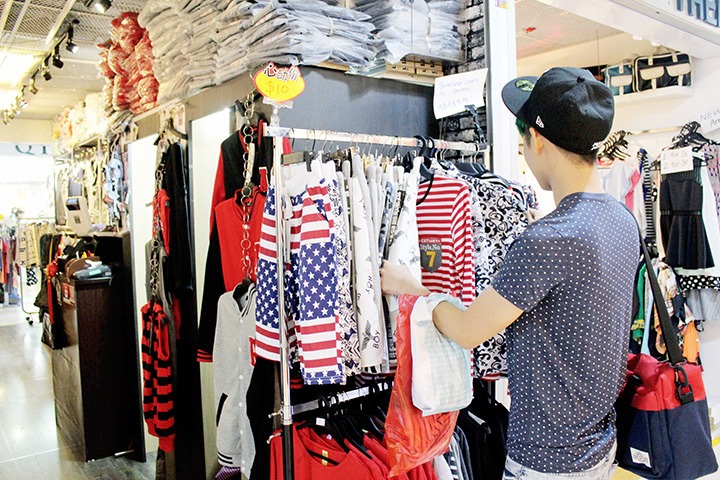 Get Lucky at Bugis Street! Met up with Rachell recently and guess what are we going to do????!!! We were really excited as it was an impromptu decision to shop that day and I think it's also the first time we do shopping together? So at first, I didn't know whether she will be a good shopping buddy anot (hahahaha please don't tell her this) because I really dislike people to rush me when I shop (and I don't rush my friends too, cause shopping should be a enjoyable and fun). 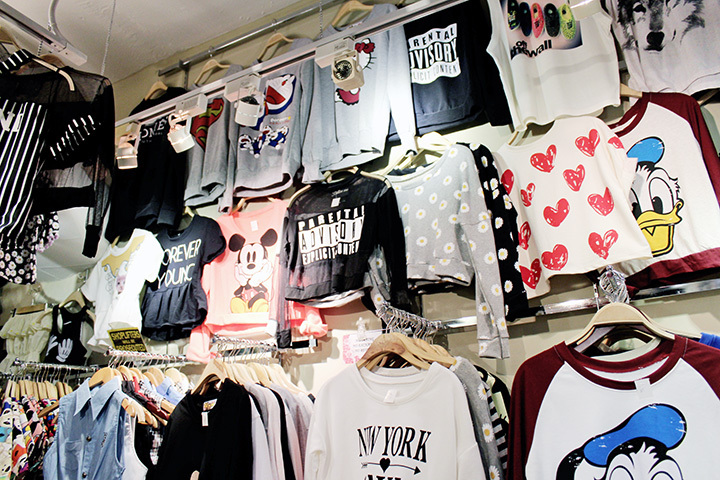 I would want to slowly shop and decide what I wanna buy! And sometimes giving each other opinion when needed because me and my friends always do that when we are in dilemma... like on what to get, which colour to get etc. And Rachell is such an awesome shopping buddy that we ended up shopping for few hours and even missed our movie! Hahaha! I know it sounds exaggerating but we really missed our movie due to shopping eh, and we could even shop longer than that because there are still some shops we didn't manage to cover yet. Sounds like a shopping paradise? Yes indeed it is, and it's none other than Bugis Street! 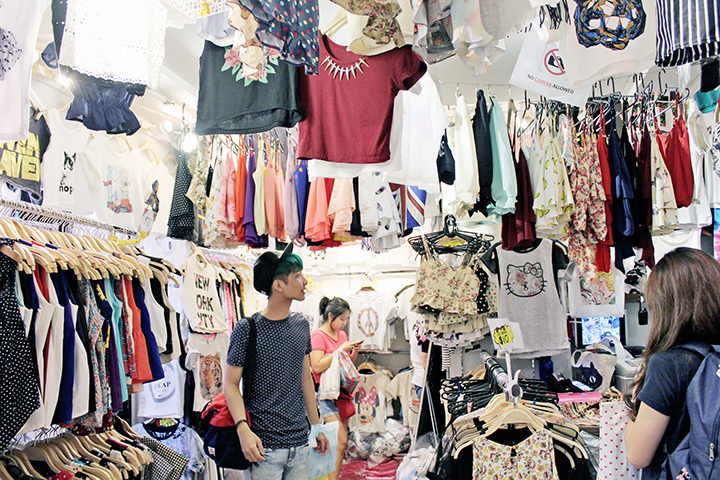 Bugis street has always been a shopping paradise for both men and women to me! I like how it is always very lively and all the shops there are filled with awesome good buys that we totally cannot resist! 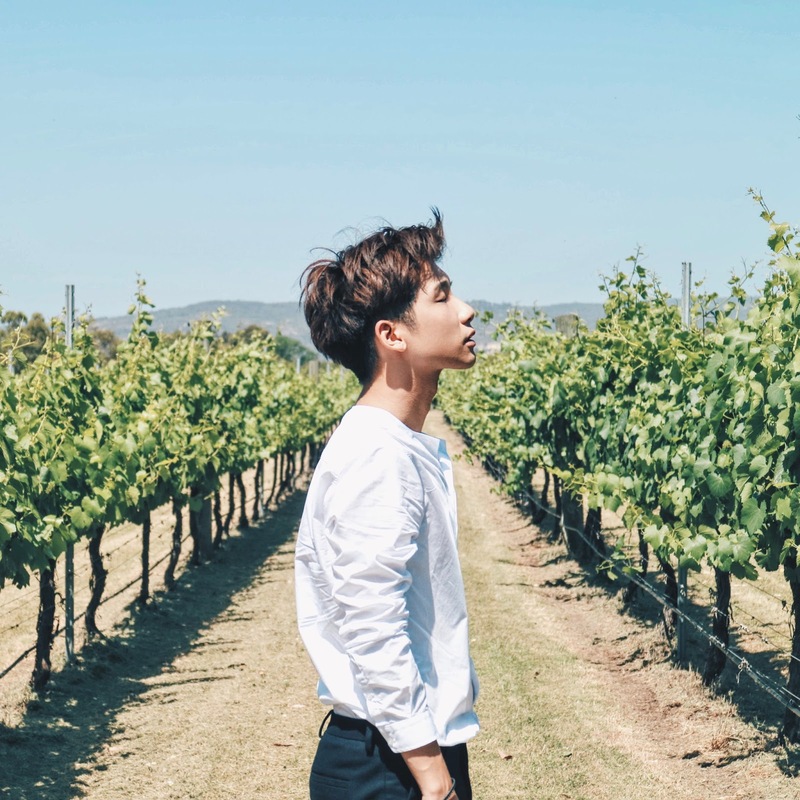 And it's not just recently that I only started to shop at Bugis Street okay, I've been shopping there since I was in secondary school (and that's many many years ago omg)! They have been an awesome place for us to shop at all these while and it's getting better and better over the years. 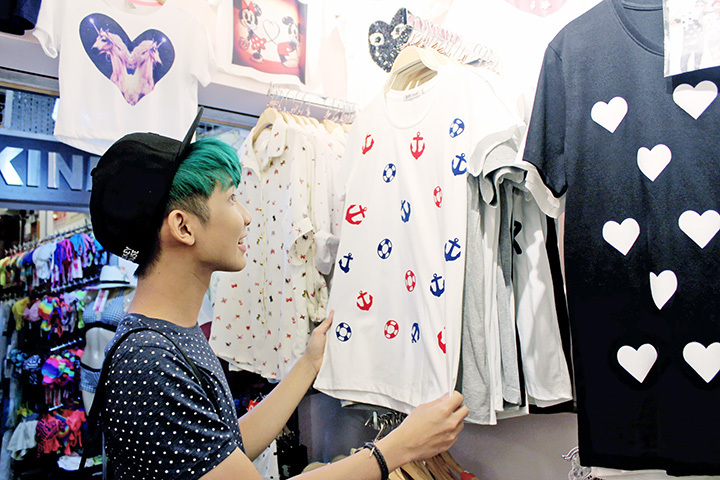 So I went visit all my favourite shops at Bugis Street when shopping the other day! And this one is JSB at level 2, which I will always come when I'm at Bugis Street! 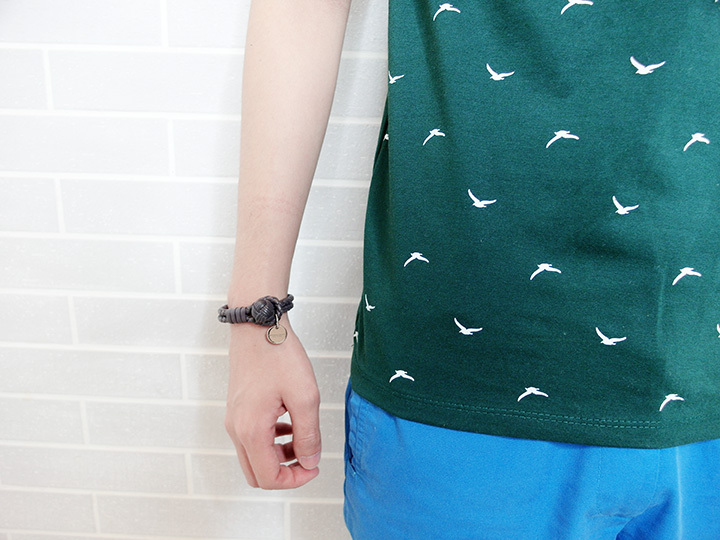 Some of their stuff are pretty unisex, so guys can wear too! No wonder their shop is always flooded with people one! My bffs, Fingers also love to come here to shop because they are very friendly too! 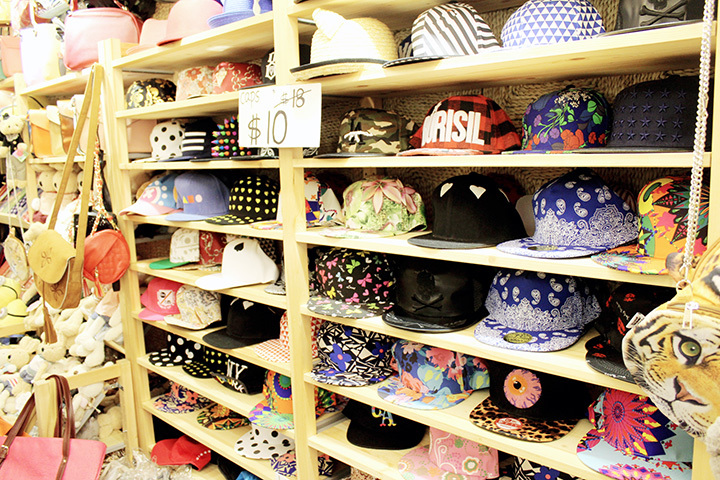 And their shop opposite, has a clearance sales of storewide $5! 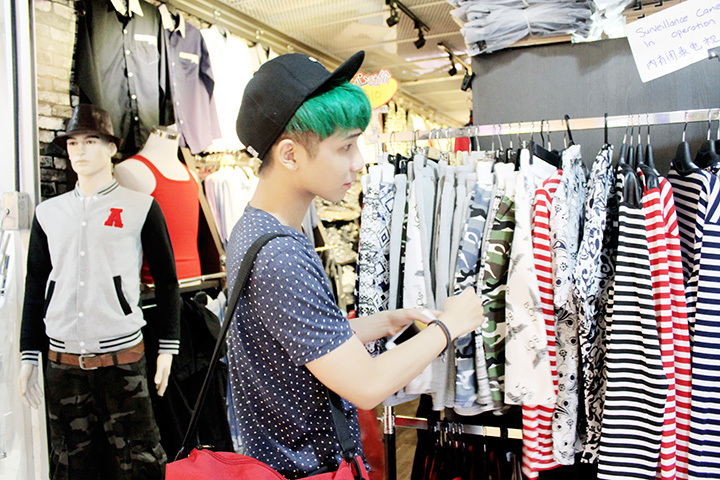 Choosing my tops! Will show you guys what I bought from JSB later! Wide range and affordable specs and shades? You can find it basically at every level! 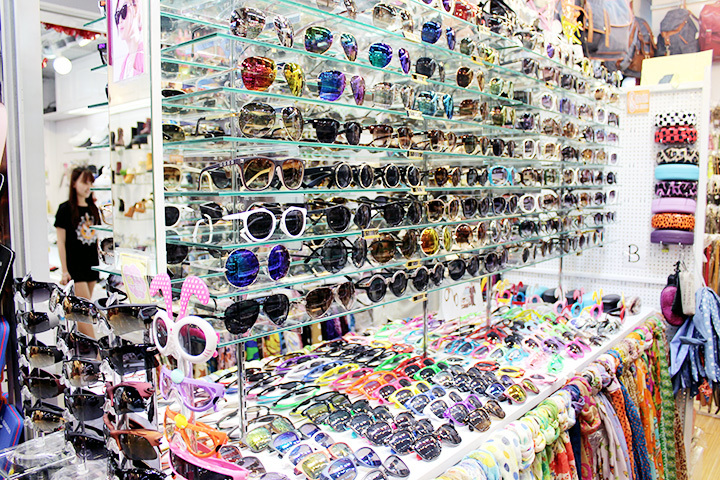 And also millions of accessories for us to choose from omg loves it! 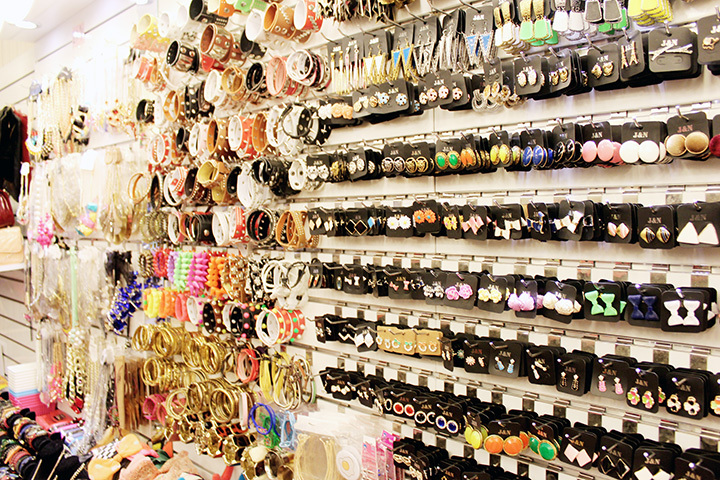 I remember Esther showed me the accessories that she bought at Bugis Street and it's only at $2 each and it's very nice! Snap a picture of Rachell while she's doing shopping at level 2! The sales assistant is giving her new pieces for the clothes she wants to buy! I sometimes get my shoes from Alice (level 2) too! All the aunty looks damn familiar and they also wanna give me discount hahaha! 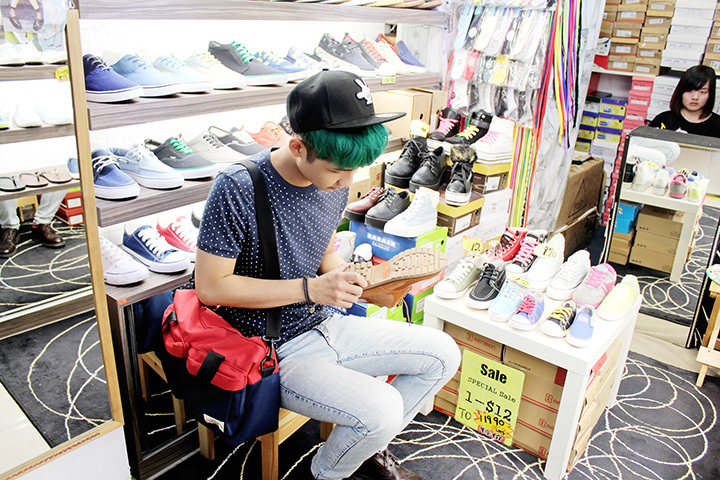 They carry both male and female shoes, but for guys whose feet are smaller in size can get the unisex one too! Like $20+ only! FOLiO (level 2) that sell all sneakers shoes too! Checking out their sneaker! Price can go as low as $12 omg?! Cute wall deco and their tote bags are all very cute too! Both of us spend quite a bit of time at this shop hahaha! They told us their stuff are imported with good quality so it's a little more expensive! 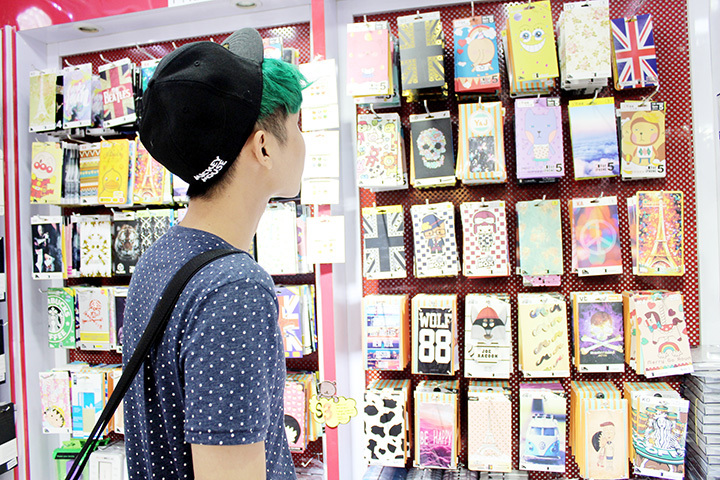 You guys should know I love love love buying phone covers/stickers, so when I came across them at Bugis Street... I cannot resist but to stop and take a look! There are quite a number of shops selling them! I particular love the phone covers/stickers that are selling at Y&J (level 3)! 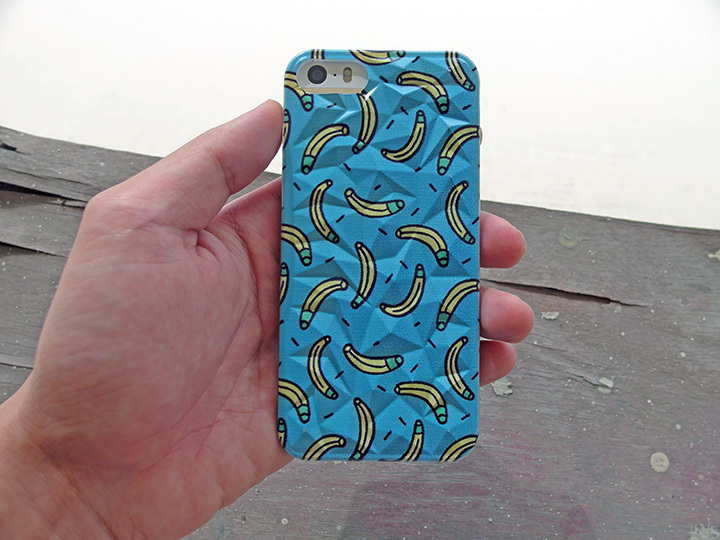 Couldn't control myself, I got myself a new iPhone cover there hahahaha! Carry on reading to see what design I bought okay! Button shirts at only $10 and tshirt at $5!!!! How is this possible!!! So affordable please!!! Checking out the sales item at thief (level 3)! Everything at $10! 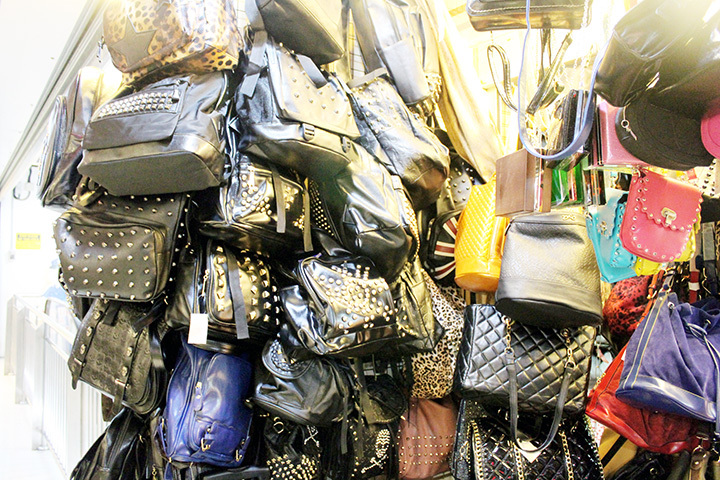 Once you start shopping at Bugis Street, you literally cannot stop! 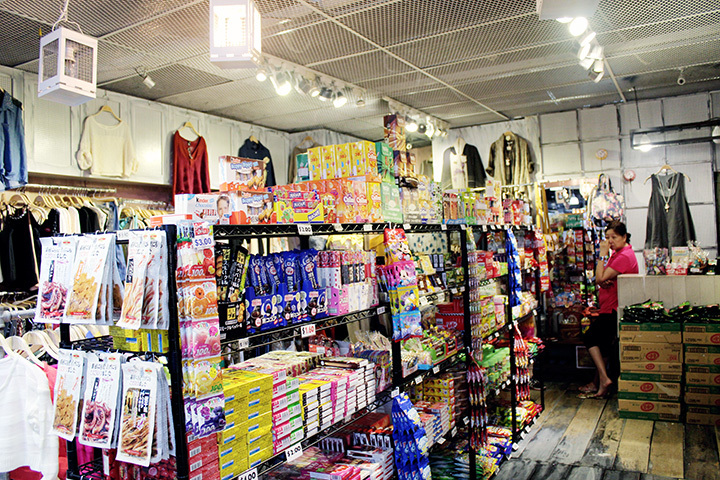 A shop that only sells apparels but also Japanese imported snacks at level 3! 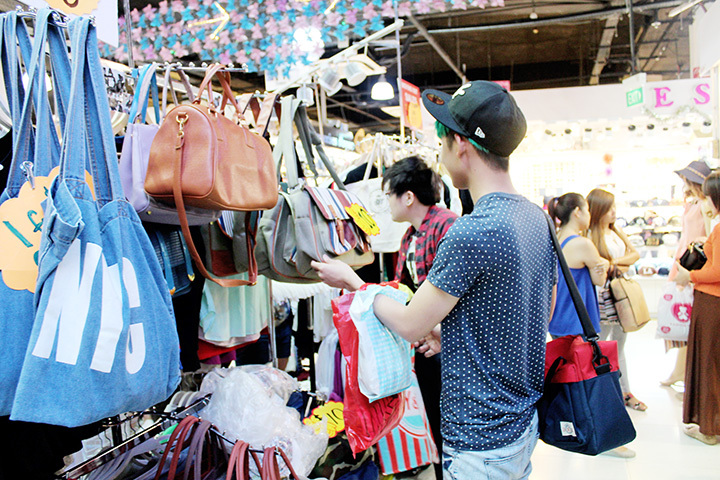 There are also different kinds of bags for us to choose from as well! Brought a bag from Y&J (level 3) which is super cute! Last one somemore! 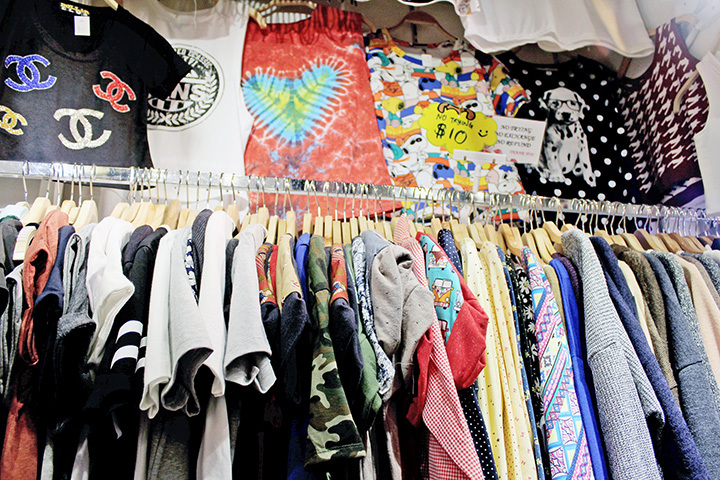 And the sling bag on the picture above is only at $10 omg. I was contemplating whether to also get that anot, at first too. 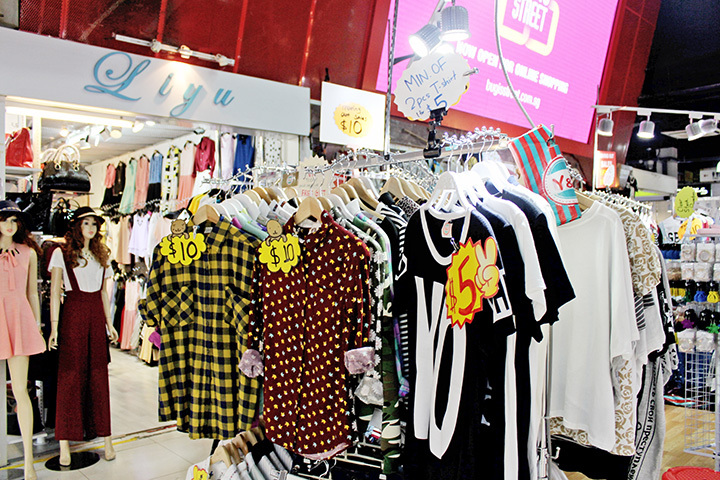 And you can find also long sleeve button shirt and polo tee at $10 and $6 respectively at Twenty Third (level 1)! It's super affordable right!! $10 for long sleeve button shirt is a steal! Can I be a panda? I wanna be a panda hahahaha! Posted this photo on Instagram the other day and there are a lot of comments asking me where is this shop located at! Now I'm telling you! It's at Bugis Street, Love Story (level 1). 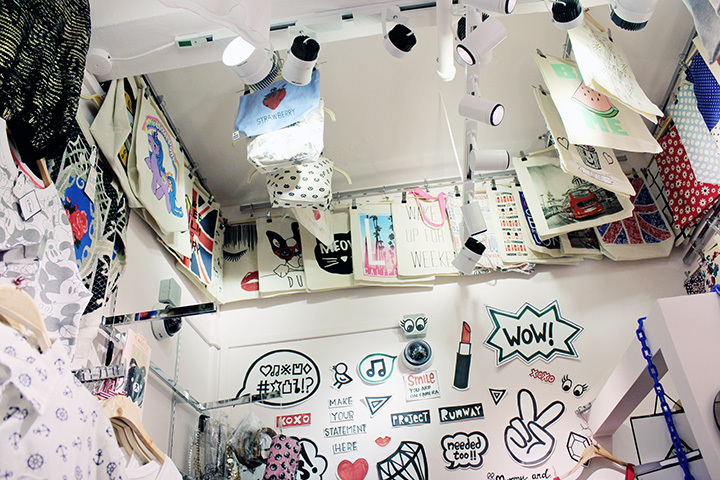 Love the shop, it's so cute! Rachell trying out the beanie too! She looks so happy hahahaha! In fact i think she's really happy the whole day because of the shopping lol! All the cute caps at only $10! Want them? 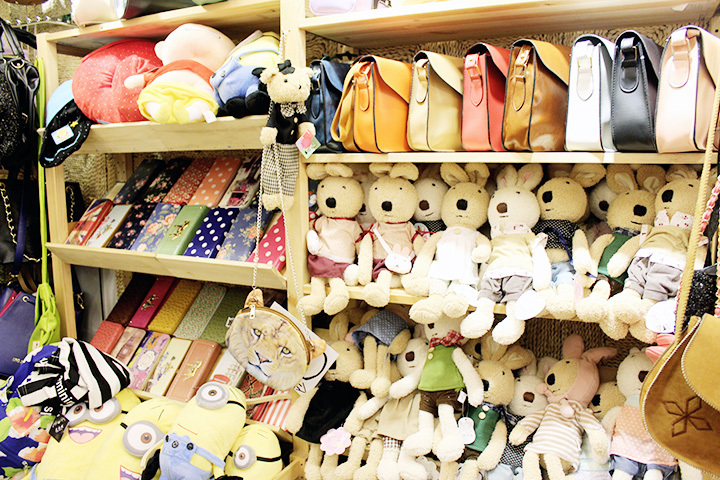 They also have adorable soft toys and bags too! Rachell bought a bag and a top from them! 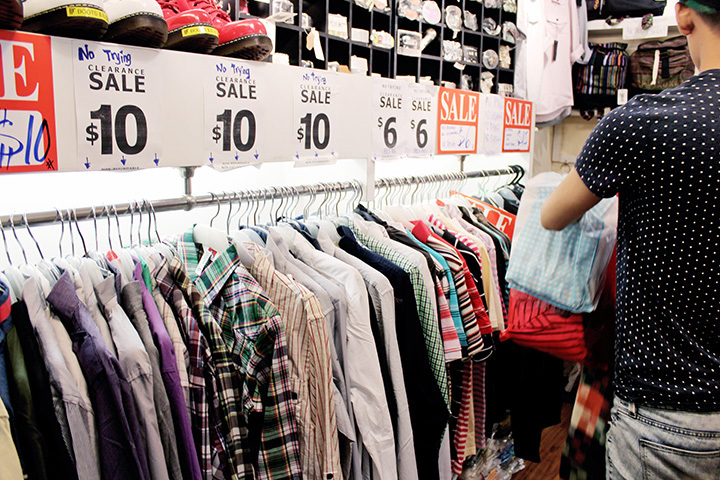 Yay and finally it's time to show you guys all my shopping loots from this fruitful shopping trip with a budget of $100! I can't wait to show you guys because I really love the stuff that I bought! 1. Pineapple tee - $15 from along (level 2)! I totally love the prints and the quality is actually quite good! 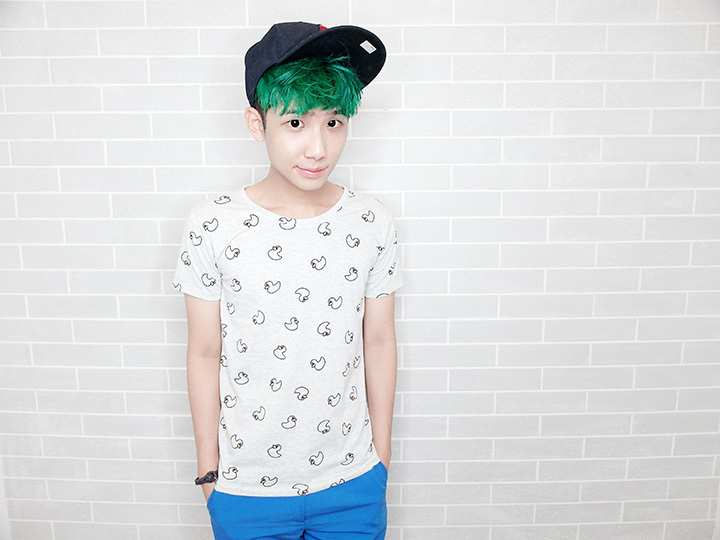 And people were telling me that I literally look like a pineapple too with my all styled up green hair! Tsk tsk hahahahaha! 2. 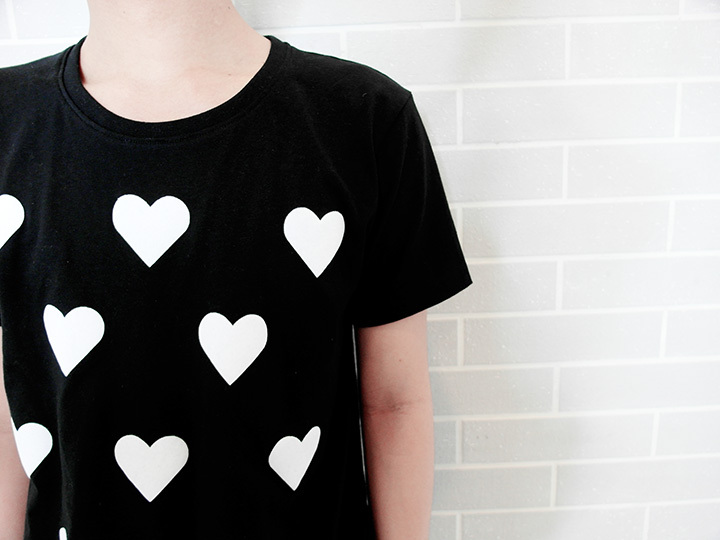 Black & white heart tee - $15 from along (level 2)! Close up! The white heart shape is in velvet material! 3. 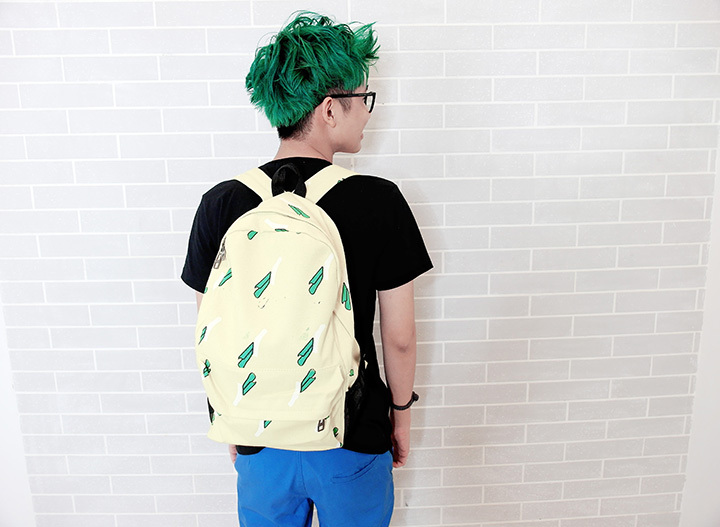 Cute yellow backpack - $10 from Y&J (level 3)! 4. Blue stripes sweater - $10 from Y&J (level 3)! Close up of the tee! 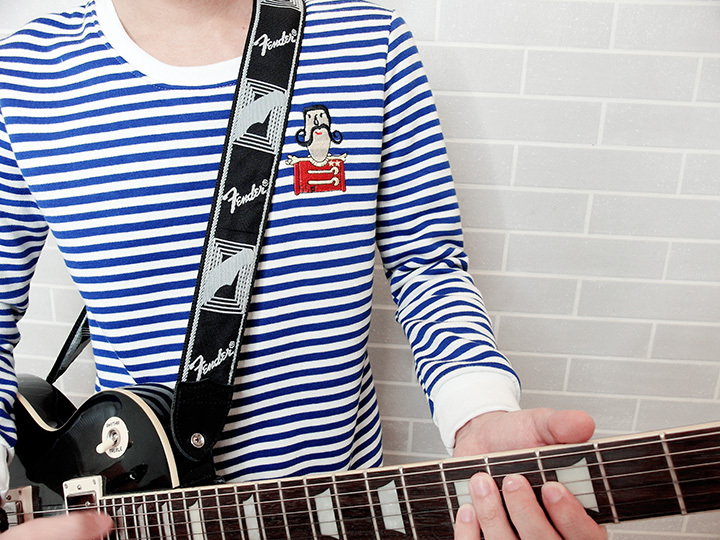 I like the cute design at the top left part of the sweater! 5. 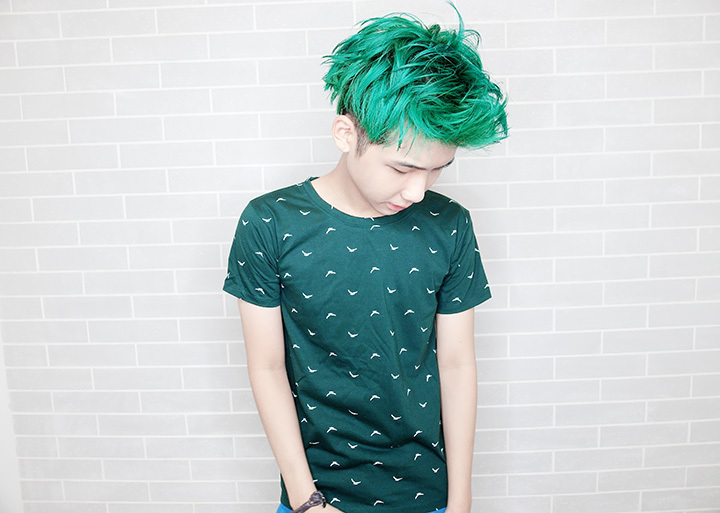 Green pattern tee - $4 from JSB (level 2)! It was actually $5 but the aunty gave me a $1 discount hahahaha! Anyway, close up of the design! 6. 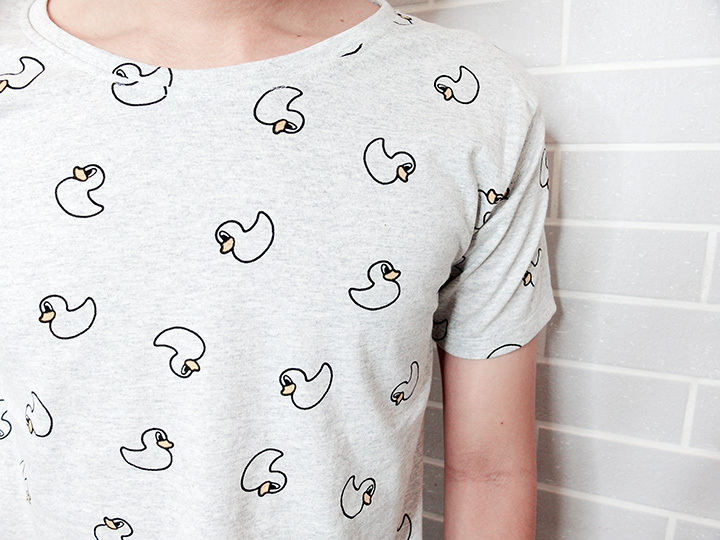 Grey duckling tee - $8 from JSB (level 2)! 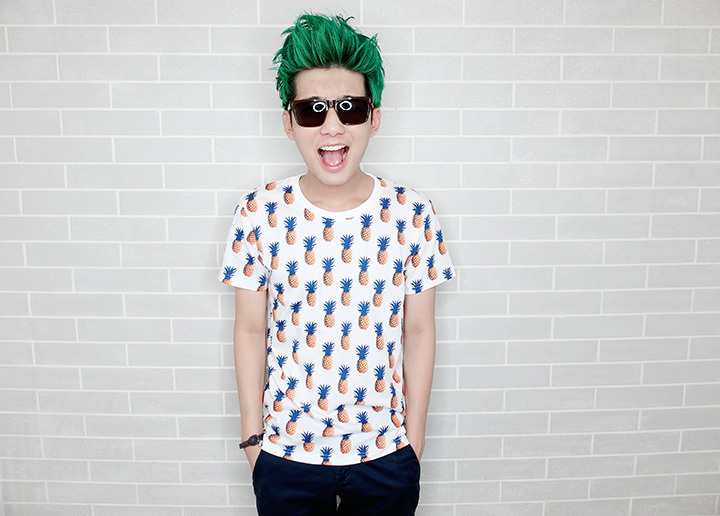 It's 2 for $16, so I bought it together with another tee (the Mickey Mouse tee below)! Close up of the design! So cute! 7. 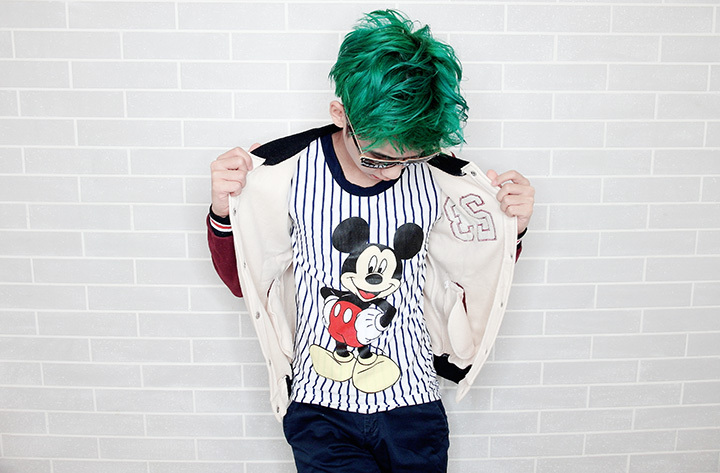 Mickey Mouse tee - $8 from JSB (level 2)! It's 2 for $16 as mentioned, I love it! 8. Baseball jacket - $20 from Y&J (level 3)! The back design of the baseball jacket! 9. 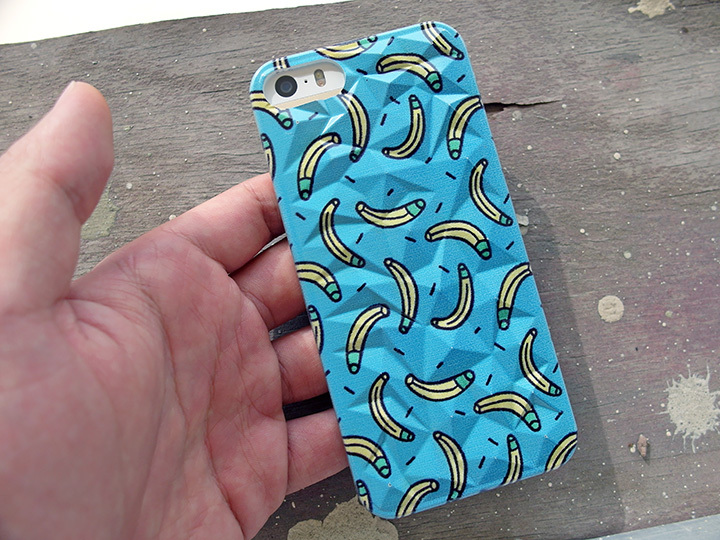 Banana iPhone cover - $10 from Y&J (level 3)! They are selling 1 for $12 and buy 2 get 1 free! Omg I really love love love this phone cover? 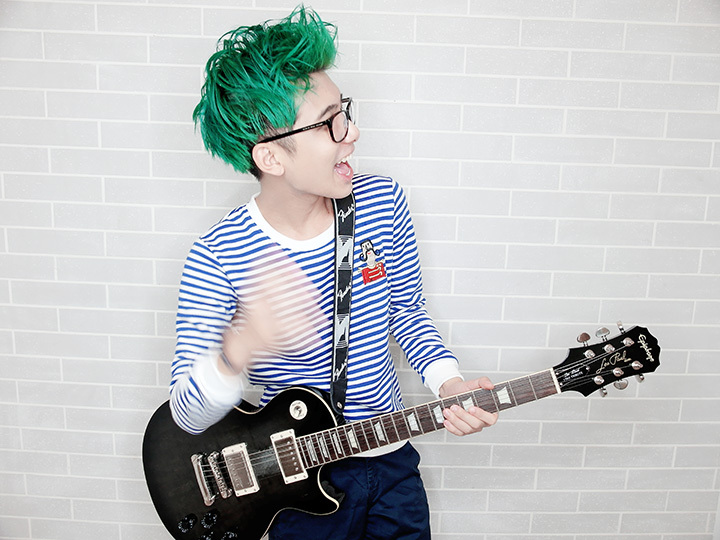 It is so nice!!!! 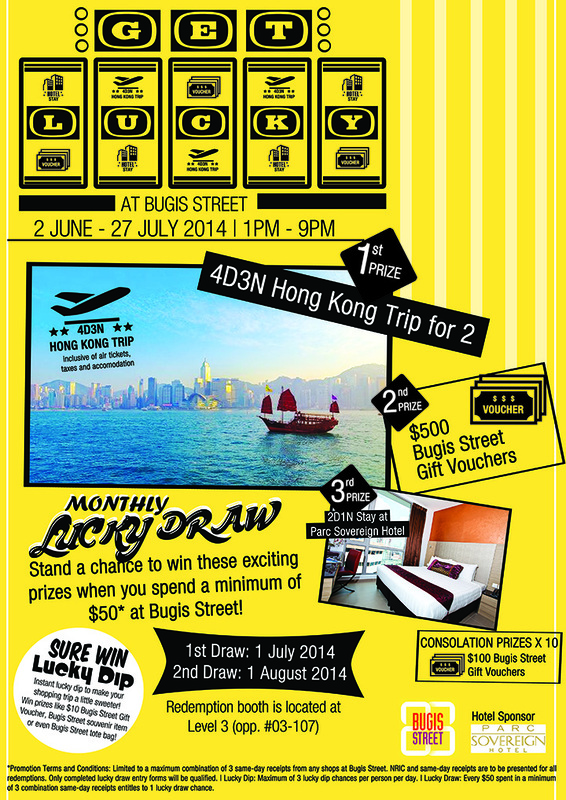 Bugis Street Monthly Lucky Draw – Get Lucky!!! I know all of you guys can't wait to start shopping already! 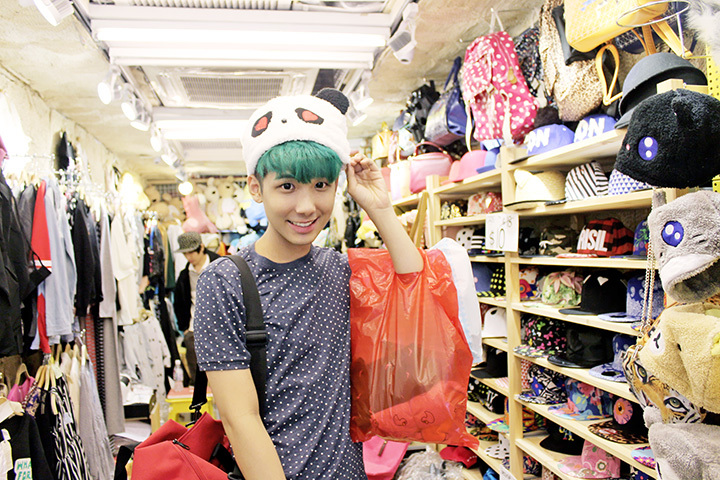 So maybe I'll see you guys at Bugis Street yeah? Hahahaha! Oh! And they are also on Facebook and Twitter too! 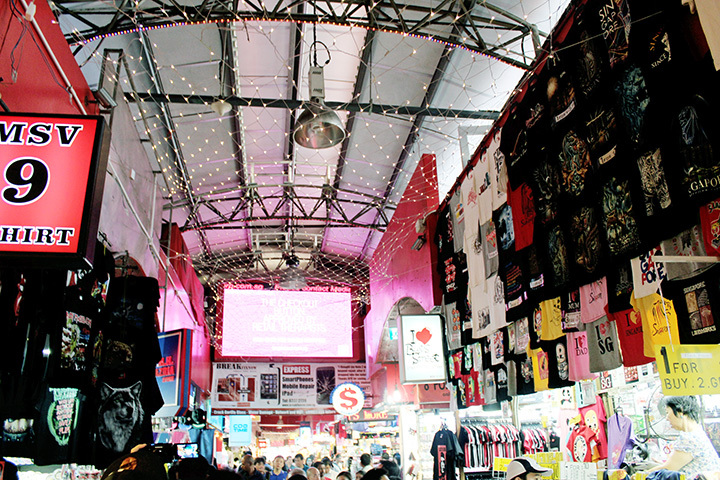 I want to go to Bugis Street now! TAT When I go to Singapore, I HAVE to go here. .______.